Polymer concrete is not like traditional concrete, although it uses some of the same types of materials. It is also used for construction projects in the same manner, but the polymer compounds give the concrete several characteristics that tend to make it safer or more durable than regular concrete. Polymer concrete tends to be more expensive than the traditional version and is measured more specifically in terms of density and shrinkage. Polymer concrete is an aggregate mixture that uses some type of epoxy binder to cure and harden into place. A polyester, vinyl ester, or normal epoxy mixture is often used, but polymer concrete can be made with many kinds of polymer resins that allow the concrete to be poured or troweled and then hardened. It cures through a chemical reaction with the polymer material. Like traditional concrete, it also has water, sand and gravel or crushed stone as primary ingredients. Polymer concrete offers different benefits depending on the resin used to make it. Acrylic binders set very quickly and offer resistance to weathering, while epoxies create a very strong material that shrinks very little as it cures. Furan resins can withstand high temperatures, and polyurea resins can replace phenolics or formaldehydes in many construction projects. Polymer concrete must be mixed very precisely and very thoroughly. It cannot be mixed beforehand and simply kept turning to avoid curing--the chemical reaction will happen no matter what. Also, the chemicals that this type of concrete uses can be very dangerous and everyone nearby must wear masks and skin protection. Polymer concrete is used for many kinds of specialized construction projects. Like other types of concrete, it can be used to join two different components or to provide a structure or base. The material is used in electrical or industrial construction where the concrete needs to last a long time and be resistant to many types of corrosion. Polymer mortar is a smoother type of polymer concrete made only from a binder and a fine aggregate, like sand. It is used primarily to join objects, like regular mortar, but does not have the same tendency to wear down in harsh climates. It may also be used to coat objects for protection. Tyler Lacoma has worked as a writer and editor for several years after graduating from George Fox University with a degree in business management and writing/literature. He works on business and technology topics for clients such as Obsessable, EBSCO, Drop.io, The TAC Group, Anaxos, Dynamic Page Solutions and others, specializing in ecology, marketing and modern trends. 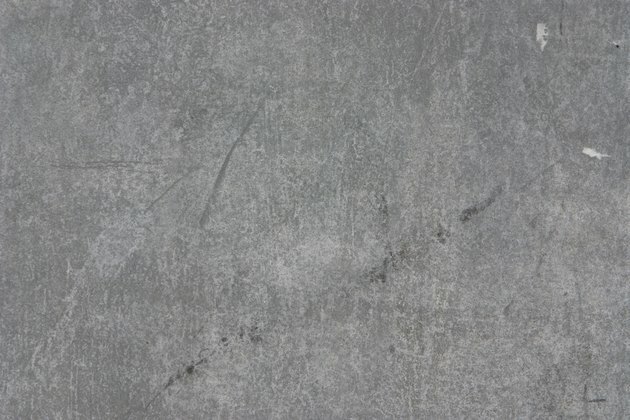 What Is the Difference Between Lean Concrete & Flowable Concrete? What Kind of Concrete Do I Use for Stepping Stones?